These days there is a huge amount of emphasis put onto our carbon footprint and how we can make changes in our lives and communities to lower that environmental impact, and it seems most of us are actually making changes to our lives to reduce our carbon footprint. 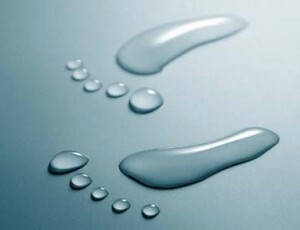 A greatly overlooked footprint we all contribute to is our water use footprint. What are you doing to manage your water use impact on our environment? How big is YOUR water use footprint? There are numerous ways to reduce our water use footprint and not all of them will have to be from cutting consumption of water; some very important footprint factors actually come from how we use our water. Of course, a very quick, easy, and immediate way to cut our water use footprint is the basics: turn off water while brushing teeth, fix the leaky faucet, flush less often, wash larger loads of laundry, hand wash dinner plates or wait until the dishwasher is full, cut back 25% on your current shower time. Right there we have some quick, easy, immediate water use footprint reduction champions! Feel your water use footprint getting smaller? Feels good right? Well, try some of these too. • Try to water you lawn in the early morning hours, and set a timer so you only water for the same period of time each watering. • Water less frequently, but saturate your lawn well. • Install a rain barrel or rainwater harvesting system like the Rainxchange. • Use rainwater for your plants and flowers water needs. • Fill your birdbaths with rainwater. • Install a grey water system to irrigate your landscape. • Hand wash your car instead of going to a carwash. 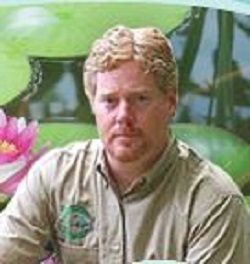 • Install drought tolerant, native landscape plants. • Try to keep rainwater on your property instead of the sewers. • Get in the habit of reading your water meter. Do you even know where your water meter is right now? • If you own a swimming pool, use your community pool every 3rd year to reduce your footprint and support you community. What about methods we would not normally think of? How about installing a pond? Having a pond will reduce water use for the amount of square footage that your pond now takes up. You do have to water and fertilize grass and landscaping, but you don’t have to water the pond! Try composting instead of using the garbage disposal; the garbage disposal requires water, composting requires no water. Plant more trees and shrubs to create shade that gives a cooling effect and reduces evaporation. Let your grass grow longer. Report water leaks or open hydrants you may see. There are many ways to reduce your water use footprint and these are just some basic tips. Become more aware of your water use and you will discover that you can create many ways to reduce your personal water use footprint! Then take the time to teach this to your kids. We all win.